How long should it take to get a small snoot full? I assume (we all know where that leads) that it should only take a second to get a nose full so when that dont happen I sniff little harder and BAM!! Straight to the sinus. LOL. I’ll never forget that. I take three tiny sniffs per side and I’m good. 2014 St James Flake in a Bruce Weaver Dublin. sounds like a joke but that might be useful info. I have given up on it for tonight but I may treat it like a skunk tomorrow. And time for a second bowl today, it feels like the day will never end, but this should be worth it, most of the things needing replaced or repaired on the truck should be done at the end of it. Pegasus in the MM Legend, coffee to drink. @HDXR. I feel your pain, man. I've got twenty-something pieces of titanium keeping my back together and the pain some days still has me useless. Feel better soon. @horse. Sorry about your friend, as well as your shoulder. But experiences like yours are exactly what keeps me from trying snuff, no matter how curious I am. On topic: Ennerdale (thanks to @3 Olives ) in a dedicated MM Legend. I'm so glad I decided tongive this stuff a second chance! Ice water to pair after this busy day. Reloaded the Legend with more Pegasus, repairs taking longer than I had hoped. @horse if you've never tried, get a bit of snuff on the pad of your thumb, bring it up to the nostril, then seal that nostril over top of it on your thumb, and breathe through the other one, should give you a starting point to know what it should feel like. Some 3 year aged Rattray Old Gowrie in the Vauen Rosewood 193 pipe with a can of Fort George Vortex IPA along side. Did some snacking, and am a third of the way through this bowl of Edgeworth Ready Rubbed Match in a late '80s, early 90s small bend medium brown smooth, unbranded Nording pot with a couple small rusticated spots, an amber colored acrylic ferrule and tapered stem in the military mount style. That is definitely a favorite of mine, in fact all of the blends in that line have found permanent homes in my aromatic rotations. Reiner's LGF. It goes so well with the first cuppa joe. 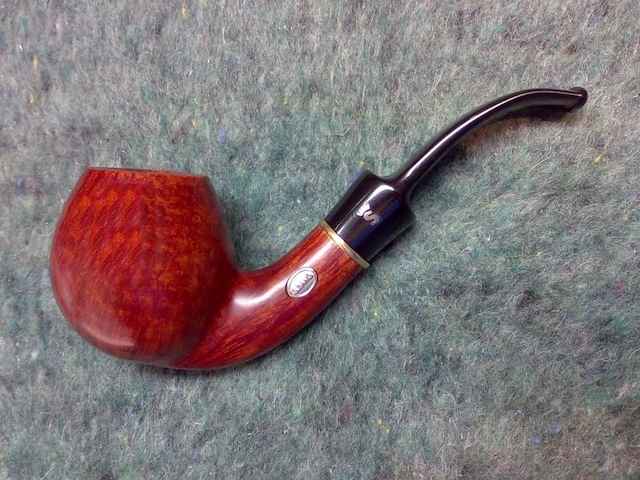 Cob loaded with Edgeworth RR match. Happy Tuesday folks. Symphony in the Falcon this fine morning.